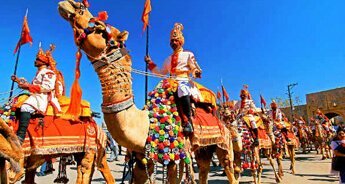 The whole Rajasthan is like an abstract of everything grand and beautiful and that's the reason why it attracts a plethora of travelers. 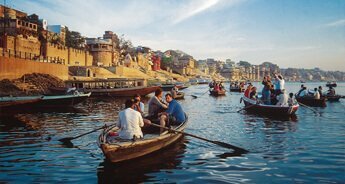 Rajasthan might be reckoned for its historical vestiges and romantic past, but there is much more to this iconic region, which has earned it a position in the traveler's list. 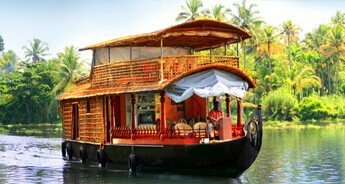 For your upcoming holiday, if you want to witness the highlights of Rajasthan and unleash its side that is hardly known to people then take this 17-day package. This seventeen-day magical journey starts unspooling the minute your aircraft will touch down Delhi, the modern capital of India. 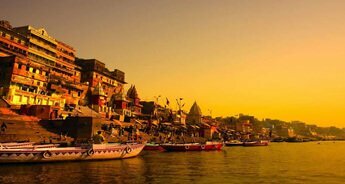 From Delhi, you will embark on a drive to Mandawa, Bikaner, Jaisalmer, Udaipur, Kumbhalgarh, Ranakpur, Udaipur, Kota, Ranthambore and Jaipur. 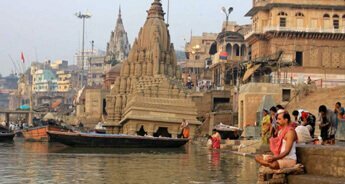 In just 17 days, this tour will take you to not only the historical vestiges but also the temples and jungles. 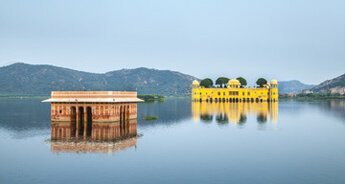 If you have been hankering for a trip to Rajasthan since a long time, now its the opportunity to make your dream holiday come true. On arrival at Indira Gandhi International Airport, you will check in the hotel. Rest of the day will be free for leisure; you can either visit the nearby attractions or can relax in the hotel. Dinner and overnight stay at the Delhi hotel. 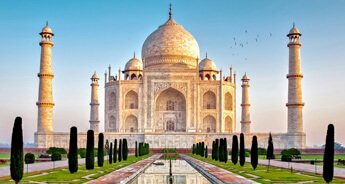 After breakfast in the hotel, go for Delhi sightseeing tour. 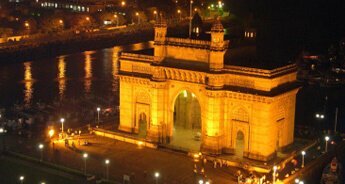 Begin your sightseeing tour with a visit to attractions of Old Delhi like Jama Masjid and Red Fort. A trip to Rajghat is also included. 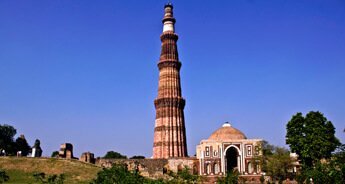 In the afternoon, you will travel to South Delhi to Qutab Minar and Humayun’s Tomb. 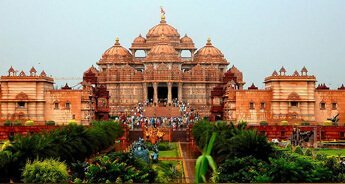 Later go to attractions of Central Delhi like India Gate, Rashtrapati Bhawan, and Parliament house. After exploring all the attractions, go back to the bust streets for Chandi Chowk, where you can indulge in some shopping and visit Red Fort to attend the musical show. Overnight stay in the Delhi hotel. From Delhi, you will drive to Mandawa, which is 5 hours away. When in Mandawa, you will go to all the major attractions like Murmuria Haveli, Thakurji Temple, Main Bazaar, Mandawa Fort, etc. Overnight stay in the Mandawa hotel. Post breakfast at the Mandawa hotel, you will embark on a four-hour ride to reach Bikaner, where you will visit National Research Centre on Camel. Overnight stay at the Bikaner hotel. Today, you will go for Bikaner sightseeing tour. First, you will visit the Junagarh fort, which was built during the Mughal era. Next stopover for the day will be 15th century Bhandeswar Jain temple. It is richly decorated with mirror work, frescoes and golden leaf paintings and carvings with Jain Tirthankaras. You will also visit the famous snack centers of Bikaner. Overnight stay in the Bikaner hotel. In the morning, you will embark on a six-hour ride to Jaisalmer. On arrival, you can check in the hotel. Rest of the day will be free for leisure during which you can visit the local market to purchase handicrafts. Overnight stay in Jaisalmer. In the morning visit Jain temple, which is located within Jaisalmer Fort. A visit to the royal museum and iconic Patwon Ki Haveli is also included in the trip. In the afternoon, visit the Gadsisar Lake. Go for desert safari in the evening. Overnight stay in the Swiss camp. Post breakfast at the Jaisalmer hotel, drive to Jodhpur. On arrival in Jodhpur, you go for a tour to Mandor and visit Umaid Bhawan Palace. Overnight stay in the Jodhpur hotel. 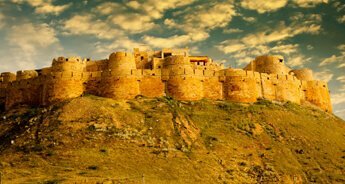 From Jodhpur, you will embark on a five-hour drive to Kumbhalgarh, where you will visit the iconic fort. The fort has a 36-kilometer long wall, which second largest in the world. From temples to gardens and reservoirs, there are lots of historical structures within the Fort. 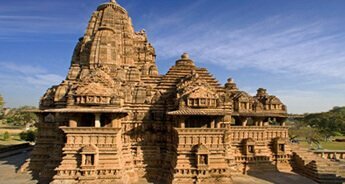 After exploring Kumbhalgarh, drive to Ranakpur. Overnight stay in Ranakpur hotel. 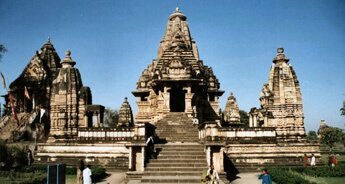 When in Ranakpur, you will visit the renowned Jain temple, dedicated to Tirthankara Adinatha. After exploring the temples of Ranakpur, drive to Udaipur. Upon arrival, you will be transferred to hotel for overnight stay. 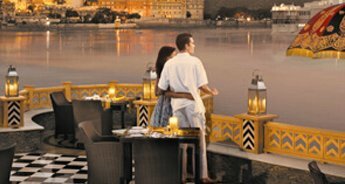 Today, you will go for Udaipur sightseeing tour, which includes attractions like City Palace, Eklingi, and Jagdish Mandir. Overnight stay in the Udaipur hotel. In the morning, you will leave for Kota. 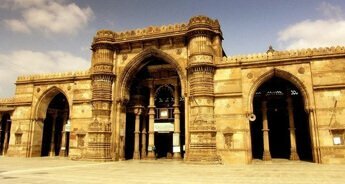 And visit all the famous attractions like Rao Madhao Singh Museum, Jagmandir, City Palace and the Fort. Overnight stay in Kota hotel. On the thirteenth day, you will drive to Ranthambhore. During the journey, you will enjoy a short stopover at Bundi to see the fantastic architectural splendors like Diwan-e- Aam, Hathia Pol, and Naubat Khana. Later, continue drive to Ranthambore. Overnight stay in the Ranthambore hotel. In the morning, you will visit go for a jeep or elephant to Ranthambore Sanctuary. 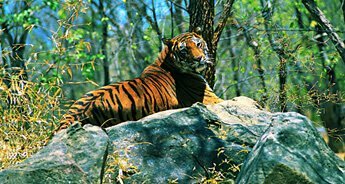 During the safari, you can see animals like Animals: Tigers, Leopards, Striped Hyenas, Sambar deer, Chital, Nilgai, Common or Hanuman langurs, Macaques, and Jackals. After exploring the jungle, drive to Jaipur. Overnight stay in the Jaipur hotel. Today, you will have an entire day at your disposal to explore Amber Palace, where you will also see the iconic Sheesh Mahal. Overnight stay in the Jaipur hotel. 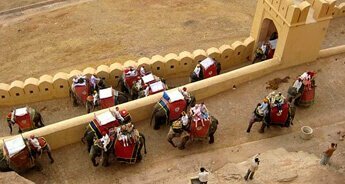 Today, you will go for Jaipur sightseeing tour. You will visit the attractions of Jaipur like City Palace and Jantar Mantar. In the evening, you can go out for shopping. Overnight stay in the Jaipur hotel. After a traditional breakfast, drive to Delhi. When in Delhi, you will be transferred to airport or railway station for your journey onwards.